Does ANYBODY know anything about this record? 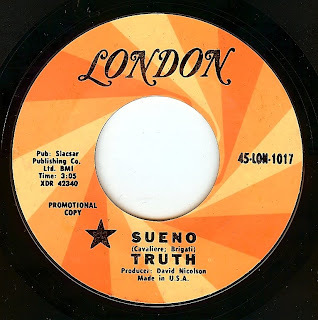 Other than the fact that it's a masterpiece of song arrangement and was a northern soul staple in the early days of the scene, this is one of those big "head scratcher" records. The label says c1963 but I just don't believe that year; sounds much more like '65-'66 to me, but who knows. Even though this track was arranged by a major artist (Donny Hathaway) there is surprisingly little info out there about it. I can't even find a date that is accurate! It's a superb, feel good Chicago track with great vocals. 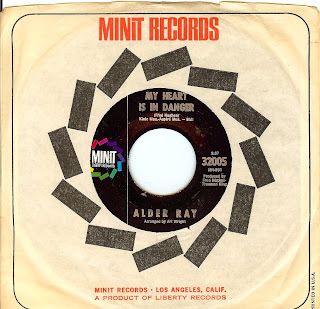 It WAS reissued by RCA records, so someone saw the hit potential.. 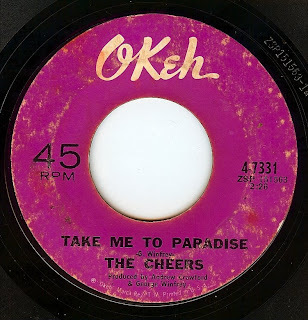 Recorded during the in-between period of his career (Johnny started out as a bit of a teen idol in the 50's, then became immersed in Jamaican music c1967 where he began not only recording on the island but also became involved with Bob Marley and the Wailers) this incredible track was yet another flop for Johnny before his "comeback". 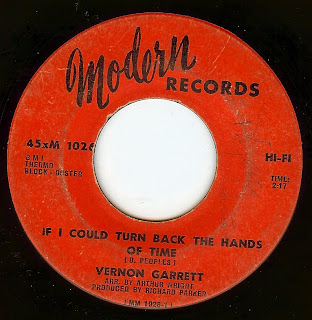 Not to be confused with Tyrone Davis' 1970 masterpiece with the same title, this stomper from Los Angeles based (born in Nebraska) singer Vernon Garrett is a thing unto itself. 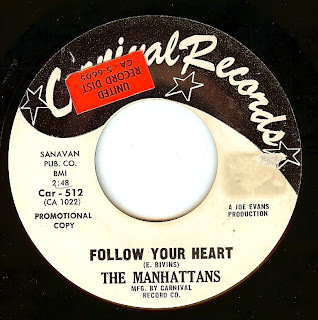 Vernon is a journeyman singer who worked the L.A and bay area circuit, oftentimes with his wife at the time (Jewel) who died tragically in 1968. Vernon was despondent for a few years, but came back in a bluesier vein and continues to work to this day in a blues or gospel bag. This is a wonderful example of a song that is perfectly written. It's been a while since I've featured any straight ahead r&b so what better choice than this wild Chicago blaster! 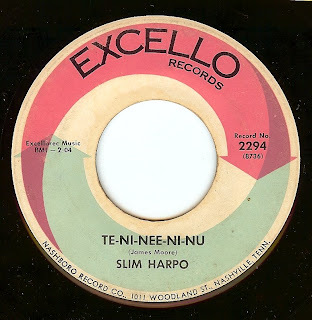 This style was pretty much on its' way out at this time, replaced by the more sophisticated soul sounds. While I sure love those sophisticated sounds, sometimes these primal jams simply sound divine. 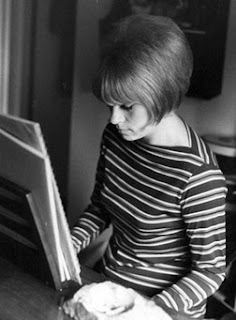 Ellie Greenwich, one of the greatest songwriters who ever lived (not to mention the fact that her work was trailblazing for women in music; not only as writer but also a producer), has passed away. Thank you for the music, Ellie. 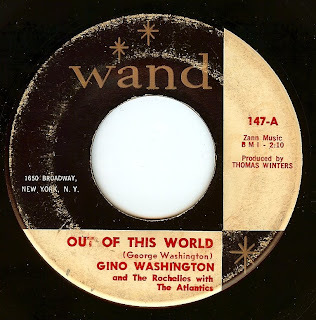 I am breaking with tradition in featuring this song today as this version was never released on 45 (and not released at all for many years after it was recorded). 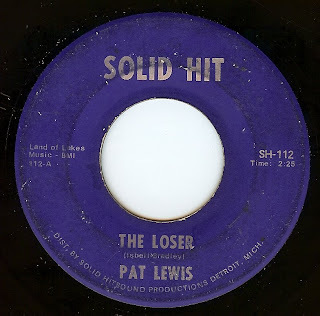 This is my favorite Phil Spector production, and one of the most sublime songs of the sixties. It was released years later by Ronnie in a re-recorded version which is good but does not come close to the epic majesty of this track. 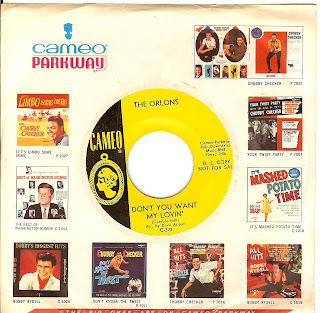 This version is taken from the (vinyl) LP Phil Spector: Wall Of Sound Volume 6 (Rare Masters) Another example where writer, producer, musician and singers click to create magic. 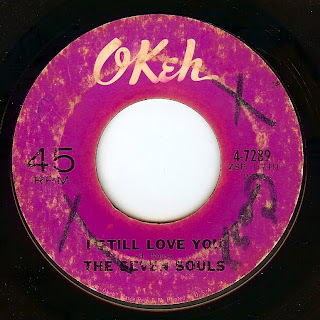 Perhaps this track was deemed too long to be a hit, but for my dollar, this is the greatest "unreleased" 45 ever. I still get chills thinking about hearing Ronnie sing this at the Ponderosa Stomp in 2008. Can't seem to find much info (other than a discography) about this British group. This is their final single and they work wonders with this already great song from the Young Rascals, turning it into a psychedelic beat masterpiece with an incredible rave up ending. 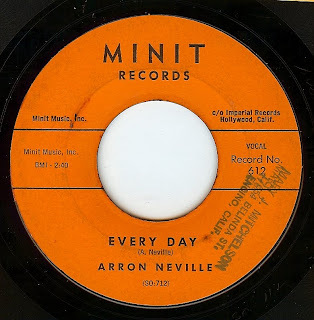 No, it's not a typo...For his first release, this New Orleans legend's name was spelled Arron instead of Aaron. Writen and recorded by a 19 year old Neville, this wonderful debut is actually the "b" side but an absolutely perfect Sunday oldie. HArd to believe that it would be another 6 years before he hit in a massive way with "Tell It Like It Is". Another mystery record! And SUCH A GREAT ONE! As you can probably tell, I'm an absolute sucker for these uptempo records with powerful female vocals, and I scoop up every one in sight (within reason). This one has especially slayed me. Being as it is written and co-produced by Chicago based Fred Hughes, I'll go out on a limb and say it's a Chicago record but who knows. If YOU know more, please don't hesitate to write! This debut of sorts (they recorded a few other records as The Dynamics - *not* the Dynamics that recorded "Misery", but another Detroit based Dynamics!) finds this group confidently making their mark right from the start, four years before they hit BIG with "Whatcha See Is What You Get". 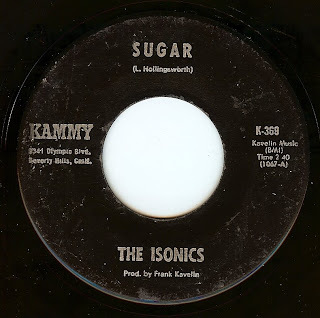 This is a great, pulsating psych/ garage track with great harmonies and guitar work. 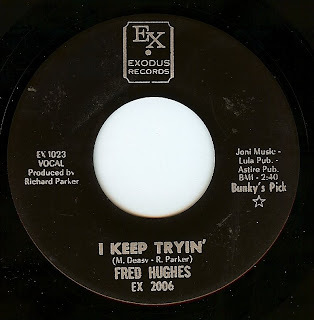 Here's another stellar track from this wonderful Detroit singer. Another gem from the early songwriting and production of George Clinton. 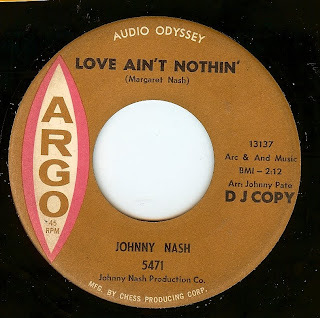 Recorded 5 years before Teddy Pendergrass took over lead vocal duties from John Atkins (who is heard here on one of his first lead vocals after Bernard Williams left to form The Original Blue Notes. Huh? 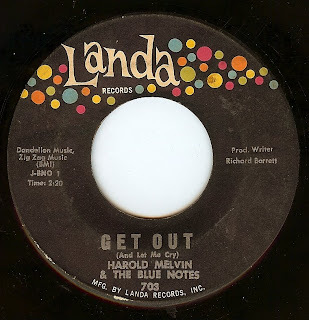 One of the rare cases when the named person in the band (Harold Melvin) was hardly ever a lead singer. This Philadelphia group lasted from the early '50's until Melvin's death in the late 90's, but in this writer's humble opinion, this is the best thing they ever did. Incredibly passionate lead vocals and wonderful group backing with an arrangement to die for. 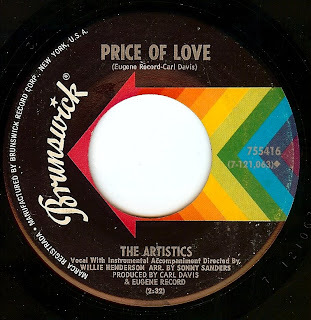 I have learned that just about any record that has Richard Barrett's name on the label as writer producer or arranger is gonna be a winner (for instance, "Are You Satis-fied" by the 3 Degrees a few weeks ago). 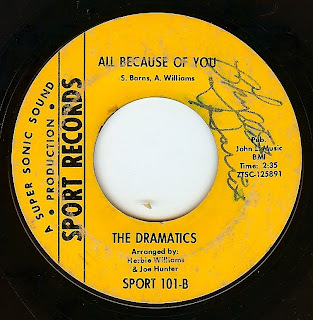 Formed in Jersey City, NJ in 1962, this group has seen many lineup changes over their long existence. However, this record finds the original lineup in all their glory. A beautiful double sider. (Note: The Boston Monkey here is a completely different song than the one with the same title by Billy Butler). This slow burning cover of The Beatles psychedelic epic opus is a thing of wonder! 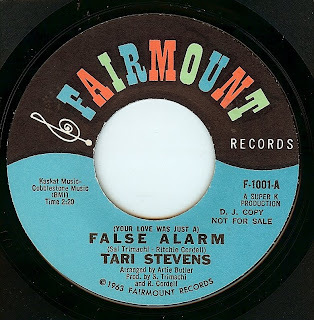 While the original recording is hard to beat, legendary blues and soul vocalist Parker transforms the number into something uniquely his own, but still retains an ominous, psychedelic vibe. 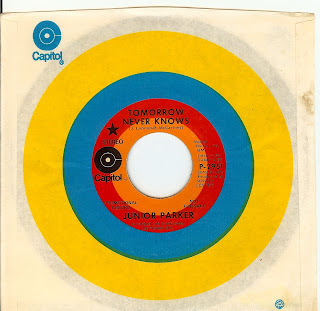 Sadly, Junior died of a brain tumor the year after this record was cut at only 39 years old. 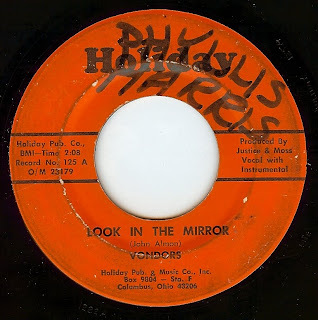 Here's a wonderful track from a Columbus, OH group that I have just read also recorded as The Soul Partners. This is an excellent track that, with better promotion and distribution, easily could have been a hit. One Of the greatest (and quite possibly THE finest) west coast soul record, this sublime 2 sider is a record I dreamed of owning for a long time, and happily it now resides in a special place in my collection. Sure, the labels may be in rough condition but the record sounds great and I am just glad to have it any any condition, and very happy to share it with everyone here. Part of the fun in collecting records is the anticipation of getting certain ones, and if we had 'em all, there's nowhere else to go (so I don't mind if it takes me many years to get that particular record; it's worth the wait). The Seven Souls were formed at the University of Oregon, and were an integrated group who moved south to Los Angeles and were taken under the tutelage of musician/ producer/ pimp Larry Williams who cut this absolutely perfect record with them. Sadly, they only released one other record (OK but not at the other worldly level of this one). The group sported not only two phenomenal lead singers (Ivory Hudson takes the lead on 'I Still Love You", and sax player Henry Moore sings I'm No Stranger) but young Bob Welch (later of the early 70's lineup of Fleetwood Mac which gave us "Sentimental Lady") is playing those tasty guitar licks. An excellent, raw track from this Arkansas native who transplanted to Chicago to record with Vee Jay records. 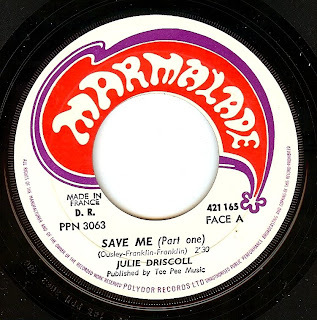 Featuring the gigantic voice of tiny British lass Julie Driscoll, and the stabbing organ of Brian Auger, this track represents the pinnacle of British soul. 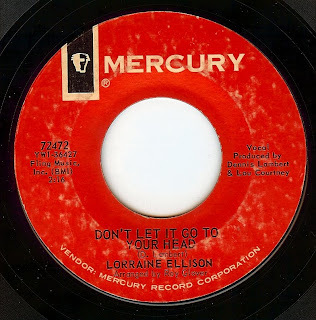 While this track is not up to the epic status of the later Lorraine track 'Stay With Me" (and what else COULD be?) this is a gorgeous, catchy song. 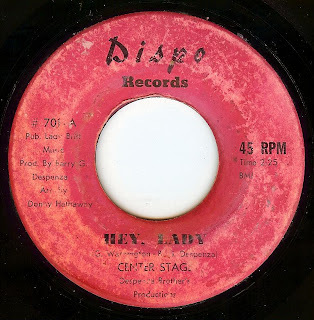 A superb vocal and arrangement, it's also cool to see that this was co-produced by daily 45 fave Lou Courtney- yet another underappreciated artist/ producer of 60's soul. Another mysterious singer! 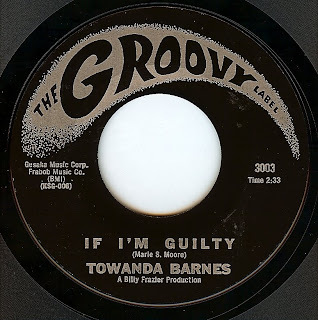 We do know that her real name is Gloria Barnes (she recorded an album in 1973 under that name) and that she was most likely from the Bronx, NYC. She also cut some tracks with the Ohio Players (all are great) but this one, her debut, is absolutely incredible. The Artistics were one of the most consistently great groups on the Chicago scene, and this lesser heard track from them has been a real favorite of mine as of late. I love the interesting arrangement with the breakdown early on. Another masterpiece from Carl Davis & Eugene Record! From Chicago's southside The Cheers were made up of brothers and cousins from the Norfleet family. They recorded variously as Little Ben & The Cheers, made gospel records as the Norfleets and, after Ben was drafted, simply The Cheers. 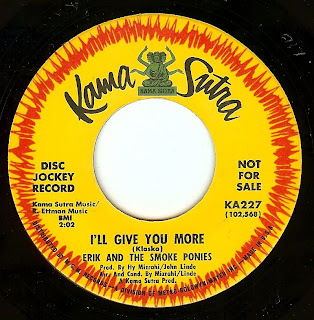 This is one of those sublime late period Chicago soul records with gorgeous, soaring harmonies. Absolutely incredible. Sadly beautiful, this track is the last gasp from the original lineup of the Byrds (minus brooding genius Gene Clark). Written by David Crosby and an absolute flop of a single, a very sad exit for a glorious band. Crosby was fired right after this single was cut, and Chris Hillman & Michael Clark quit not too long after (all during the makings of their masterpiece "Notorious Byrds Brothers" LP). 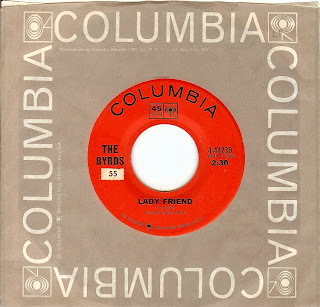 Of course, "The Byrds" continued on in name only (while I like a good chunk of the later stuff, it was a completely different group with different mindset and spirit). 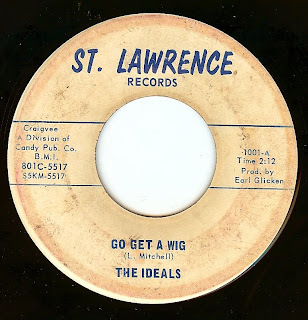 This 45 is EXTREMELY hard to find and the reissues are usually (I think always, but I don't follow recent CD reissues) in stereo and don't sound anywhere near as good as this punchy 45 mix. Here's a Monday morning espresso shot from one of the daily 45 Detroit faves! 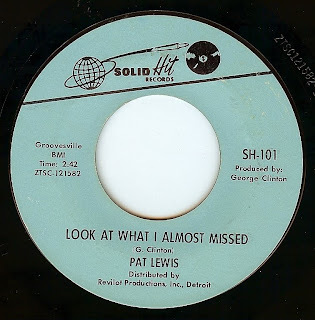 One of the iconic female voices in Detroit soul, 20 year old Pat turns in such an impassioned performance on this incredible song that is mature beyond her years. The arrangement with its' stops and starts is a masterpiece as well. An absolutely gorgeous song. This is a track that I first became of aware of through Alex Chilton's fantastic cover; in addition to being exposed to soul hits through oldies radio in the 80's, my fandom of John Lennon and Alex Chilton (both fanatical r&b heads) introduced me on the quest for more underground, non-hit sounds. I thank them every day for helping me on this path.